Everybody knows that YouTube is a unique source of videofiles loved by millions of people. Sometimes you may want to download fresh and rare tunes, favorite ASMR sounds, YouTube trending music to enjoy them offline, get the whole world of music on all your devices. 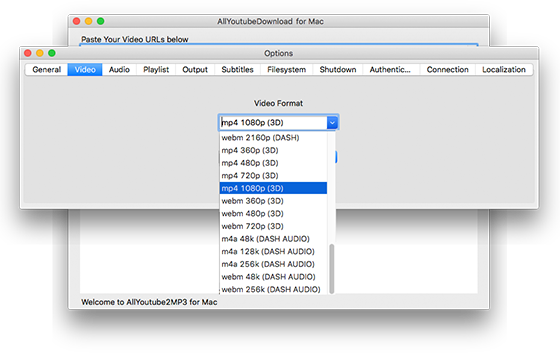 AllYoutubeDownload for Mac can be a extremely simplified solution that you can use it to batch download YouTube videos to MP3 with high output quality. Over 300 video sharing websites from all over the world are supported and the video can be converted into any formats you want. 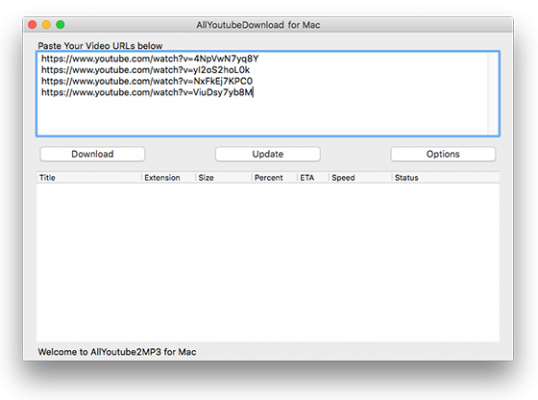 Once AllYoutubeDownload for Mac has been launched, copy the URL of the YouTube video you want to download and paste it in the box of “Paste Your Video URLs below”. 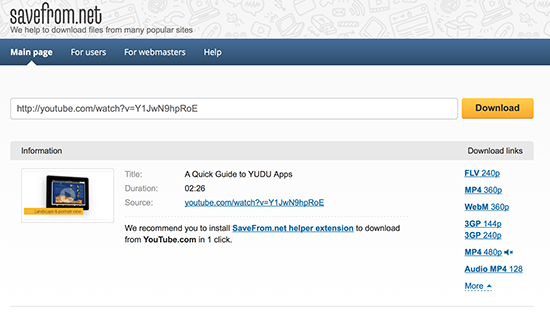 If there is the need to batch download YouTube videos, just paste their URLs (one link per line) in the box. Click “Options – Audio” and you will find a list of audio formats from the menu of “Audio Format”, then choose “MP3” as the output format. When all settings are done, just click “Download” to start the process of YouTube video download and conversion. SaveFrom.net is an easy way to convert videos from YouTube, Vimeo, Facebook, and others. You can use it on the Web by pasting your video’s URL and choosing one of the available formats and qualities. Its only downside is that it doesn’t offer many conversion options. Firefox is one of the most popular web browser on internet with a large user base. To enhance the user experience, they offer great add-ons and widgets available at Firefox Add-ons section. Video DownloadHelper is a simple and well-known add-on to download videos off the net and convert them into high-quality mp3 format. VLC Media Player has good support for encoding to different audio formats like MP3 and you can convert from quite a wide selection of video formats from YouTube. However, the interface in VLC Media Player doesn’t make it that obvious where to begin or what to do in order to get the audio data out of your videos. Absolutely, there do have many solutions from free online site like Zamzar to advanced YouTube to MP3 Converter app like Enolsoft YouTube to MP3 for Mac. 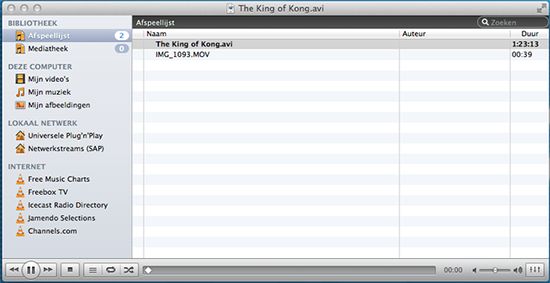 Unlike online converters, Enolsoft YouTube to MP3 for Mac doesn’t require that YouTube videos should be under 100MB, but the conversion speed may not that fast as you expect.